This camera is specially reader infrared marked card, very popular in European countries. 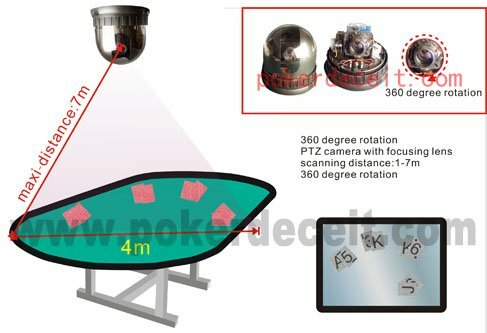 We have engineers tailored infrared camera, which can make the shape of the lamp, vase shape, kettle shape, hat shape, sound shape, as long as you have the nerve, we can produce. The distance from camera to cards is 1 m to 10 m. Of course, the greater the distance, the more expensive its price.